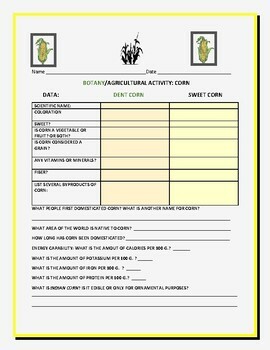 This activity requires students to research some of the nutritional and scientific facts about corn. Corn has been domesticated for at least 10,000 years. It is good for a Botany/science homework assignment, or for a Thanksgiving cross-curricular activity. Thanks ever so much for visiting. Happy Holidays!